Eurotask Offers OceanView Day/Night Vision System – Superyachts News, Luxury Yachts, Charter & Yachts for Sale. Eurotask,a company dealing with marine electronics, has come up with a Day/night vision system, which uses Thermal Imaging Technology along with high resolution cameras. 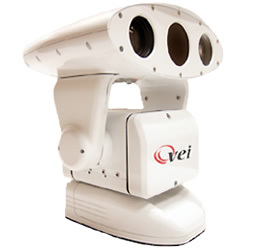 The easy to use, rugged vision system can be seamlessly integrated with a VEI equipment and/or most other marine electronics on the market today. The design of the vision system is specially made for the marine use. The OceanView cameras provide high resolution images in all types of weather and light conditions. The Cameras are available in a variety of models, out of which most of them have a Thermal Imager as the primary vision system. The thermal Imager passively detects infrared radiation (heat) through smoke, haze and a wide range of environmental conditions. The combination of the conventional cameras with the thermal imaging system not only gives OceanView an edge over other brands but also provides a new dimension for enhancing the safety, security and navigation capabilities of a modern yacht. Though the system provides utmost image clarity and advantages, the Thermal Imaging has its limitations. For this reason, OceanView combine other technologies into the same system to enable operators to choose the best camera combination for the situation and to ensure optimal detection and identification capabilities under the widest range of light and environmental conditions. The cameras, in addition to the thermal imaging technology have been provided with other technologies such as GEN III Image Intensification (I2), Ultra-Low Light and High Resolution Color system. All the Oceanview Models are designed to designed to withstand the constant pounding of the sea, moisture, salt and corrosion.